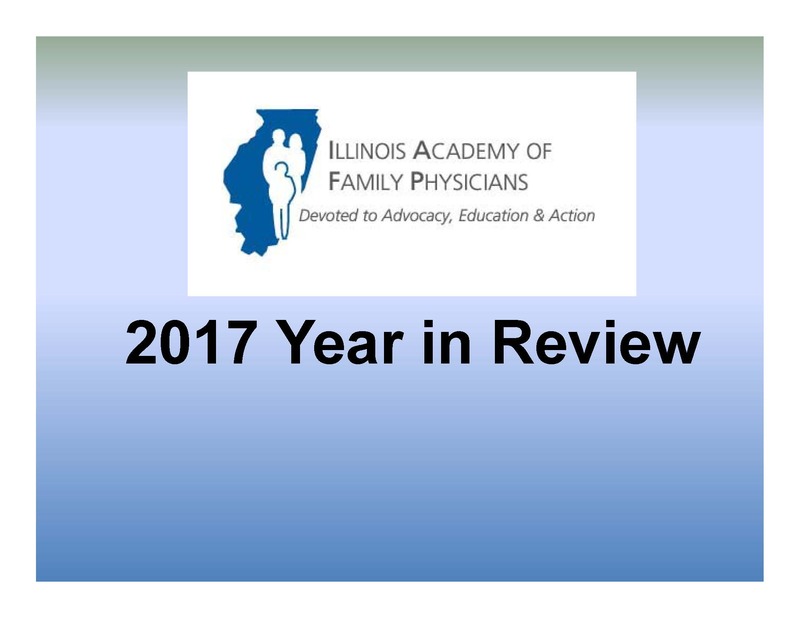 Founded in 1947, The Illinois Academy of Family Physicians (IAFP) is a professional medical society dedicated to maintaining high standards of family medicine representing over 5,000 family physicians, residents and medical students. IAFP provides continuing medical education (CME) programming, advocacy through all levels of government and opportunities for member engagement and interaction. We are a constituent chapter of the American Academy of Family Physicians (AAFP), representing over 129,000 members nationwide around the world through the Uniformed Services. NEW: IAFP Turned 70 in 2017. Read an update on our last ten years. Family medicine is the medical specialty which provides continuing and comprehensive healthcare for the individual and family. It is the specialty in breadth which integrates the biological, clinical and behavioral sciences. The scope of family medicine encompasses all ages, both sexes, each organ system and every disease entity. The specialty of family medicine is the result of the evolved and enhanced expression of general medical practice and is uniquely defined within the family context.